The Duke Master of Arts in Bioethics & Science Policy is heading into its fifth year. The program was founded on the forward-thinking premise that advances in science and technology are far outpacing society’s capacity to effectively manage, much less take full advantage of, the resulting impact on our world. The frenzied pace of progress demands that scientists, ethicists, and policy makers no longer exist in their own respective bubbles. The interdisciplinary graduate program aims to provide an open, agile, and innovative space to address this growing challenge and better serve society through science. The 2017-2018 MA class bore witness to historical public demonstration in response to the growing tension between science and policy as hundreds of thousands of citizens marched for science across the world. In tech and culture, machines took an ever more dominant role in our lives, driving more than vehicles. Algorithms and sophisticated AI identify diagnoses, curate our news, sift our data, and influence our politics, even as the first deaths by autonomous vehicles and data breach after data breach ostensibly validate the concerns of many. In medicine, the FDA greenlit new gene therapies that address some of mankind’s most irremediable diseases to-date, while simultaneously, the nation came to grips with a fatal opioid crisis. The MA program is one cornerstone in Science & Society’s effort to address these issues and steward scientific progress. Each year we look for opportunity to recognize exemplary students who embody this mission and recognize their potential through the Science & Society Leadership Award – a substantial Duke University scholarship for rising leaders in this space. Successful leadership award candidates possess qualities necessary to lead complex and often emotional conversations in a society tuned in to and leery of bias. Qualities that will not only enable them to pioneer new policy solutions, but productively stand in the communication gap as translators between the vastly different languages of science, policy, and ethics. While academic excellence is foundational in our search, S&S begins by identifying a hunger for knowledge and understanding, before quickly differentiating each candidate’s ability to collaborate across various fields of study. Ideal candidates do so with a willingness to abandon comfortable established spaces that threaten impasse on issues that are rarely black and white. And driving each of these qualities we look for an earnest motivation to serve society. This spring we are proud to welcome two such individuals to our 2018-2019 class and recognize their potential through this scholarship award. 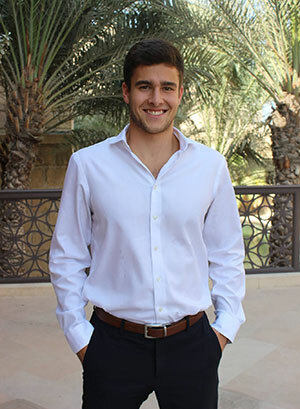 Deniz studied cognitive neuroscience at Washington University. While volunteering in multiple community engagement programs, she shared life alongside incarcerated women and low-income immigrant children while organizing campus-wide events centered around body image and eating disorders. 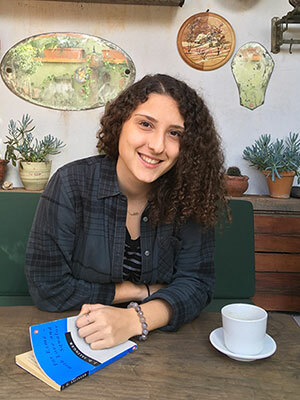 Deniz quickly recognized the potential for her research in moral psychology to inform policy and alleviate the systemic inequalities effecting these groups, but became frustrated at an inability to effectively connect what she was doing in the lab to a practical application in the world. Unsatisfied with having such an isolated effect, Deniz sought out the Duke Master of Arts in Bioethics & Science policy in order to further explore the unique methods, needs, and limitations of professionals working at each step of law and policy creation. She would like to eventually design research that benefits not merely other researchers, but policy and law makers as well. Cameron studied neuroscience and philosophy at Vanderbilt. While there he served as an intermediary between undergraduates and faculty as a member of the neuroscience executive board and in 2016 helped establish the Association of Neuroscience & Law. As an ardent communicator, his passion to connect disparate audiences is rousing. Where in debate one might seek satisfaction in winning an audience to their point, Cameron finds fulfillment in the “resonance” and resulting “feedback loop” he cultivates in effective dialogue. The feedback loop, he explains, is only possible by first learning how to carefully listen to others in earnest. Uncertain of confining his gregarious nature to pure benchwork and unwilling to abandon his empirical mind for the amorphous discussions in the humanities, he found a path at Duke that allows him to straddle the space between. Cameron looks forward to taking advantage of the many resources and programs available in the Duke Initiative for Science & Society, where he can further hone skills that will enable him to bring real change to the world. More specifically, Cameron will deepen his understanding of the ethical, legal, and scientific issues underlying the use of brain scans in the courtroom – a growing trend in criminal defense strategies with uncertain and potentially overstated application. Science and technology will evolve and new problems will bubble to the surface, anticipated or not. Age-old questions of self and what it means to be alive and sentient will be given new life as neuroscientists delve deeper into the inner workings of the brain. Society will grapple with balancing privacy, liberty, and luxury as commercial technology drives us forward on an empowering wave of convenience and potential. The commercialization of genomic data, whose merit has been debated for over a decade, is now providing clear examples of its mixed effects and potential for use or abuse beyond medicine.